I’m loving these colorful Y-3 Sneakers. 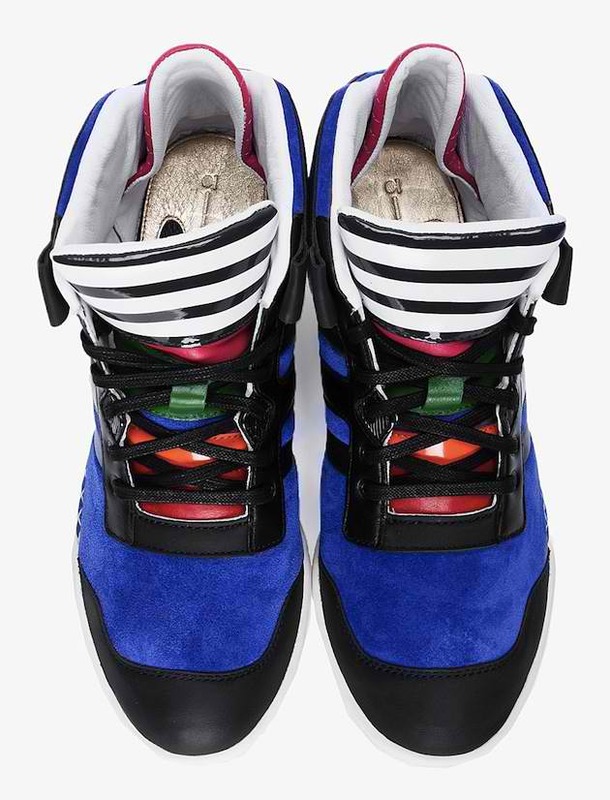 They are mid-top suede in blue with black textured leather paneling throughout. with a round cap toe, black lace-up closure and eyelets and multicolor striping at the padded tongue. These sneakers also have black striping at the sides, a red pull tab at the heel, an off-white textile mesh detail at the midsole sides and an off-white textured rubber sole ($410).